Driving license is an important document. The main importance of a driving license is that the holder is a trained driver who is officially permitted to drive a vehicle on Indian roads. It can be used as an identity proof wherever required. In order to drive a vehicle, having a valid driving license is mandatory as per The Motor Vehicles Act, 1988. A Learner’s License is issued to a person who is willing to learn driving a vehicle. It is a temporary license valid for six months. Only after completing 30 days of training lessons, a person is allowed to apply for a driving license. A Driver’s License can be obtained by people who have successfully completed their training for driving a vehicle. It is mandatory to hold a Driver’s License if one wants to drive a vehicle in India. One cannot drive a commercial vehicle with a Private Driving License. Obtaining a driving license for commercial use is slightly more difficult than getting a Driving License (DL) for private use. The age limit is also 3 years more than DL for private use i.e. 21 years. Driving a commercial vehicle means taking responsibility for other individuals traveling in it. This is why it is necessary to carry a fitness certificate while driving a commercial vehicle. Depending on your location, search for a website dedicated to your state’s RTO online. 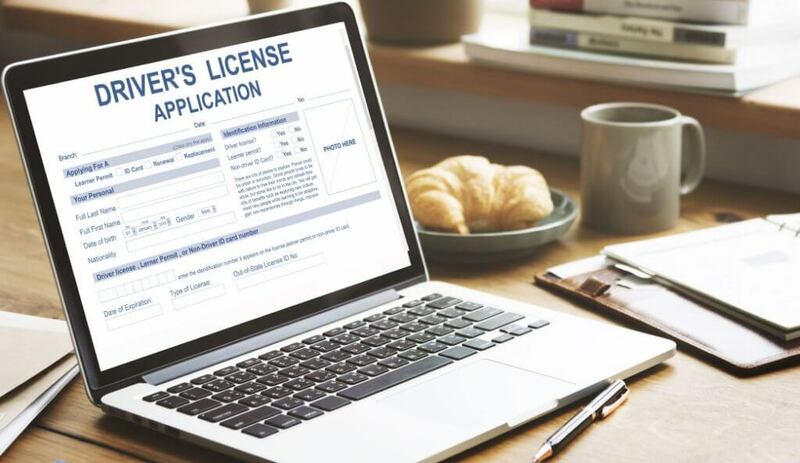 Navigate through the menu to find if your state allows an RTO online application for Learner’s License. To apply for a learner’s license, navigate to state’s website for RTO online. Fill the application form and book a slot for the online test. If you pass this test, you will receive the learning license. 30 days later, you can apply for a driving license. The process of applying for a driving license is similar to the process of applying for a learning license. You can file an RTO online application to get a driving license. Go to the RTO website of your state and click on New Driving License. You will be redirected to fill the application form. Documents relating to the type of vehicle to operate. This might be a motorcycle, personal vehicle or transport vehicle. Some Indian state’s RTO allows you to book an exam slot through their website. Try to choose the slot when you have enough time to prepare for the driving test. Keep your Aadhar card handy while booking the slot. Carry all the documents in original and photocopies when you appear for the driving test. Photocopies should be self-attested. If you pass the test, you will be given a receipt which will act as your Driving License (DL) until the time you receive the permanent smart card. It should take no more than 30 days to reach your address via post. Visit the RTO if you had passed the test and yet not received the smart card within 30 days. Always carry your DL while driving/ride a vehicle.